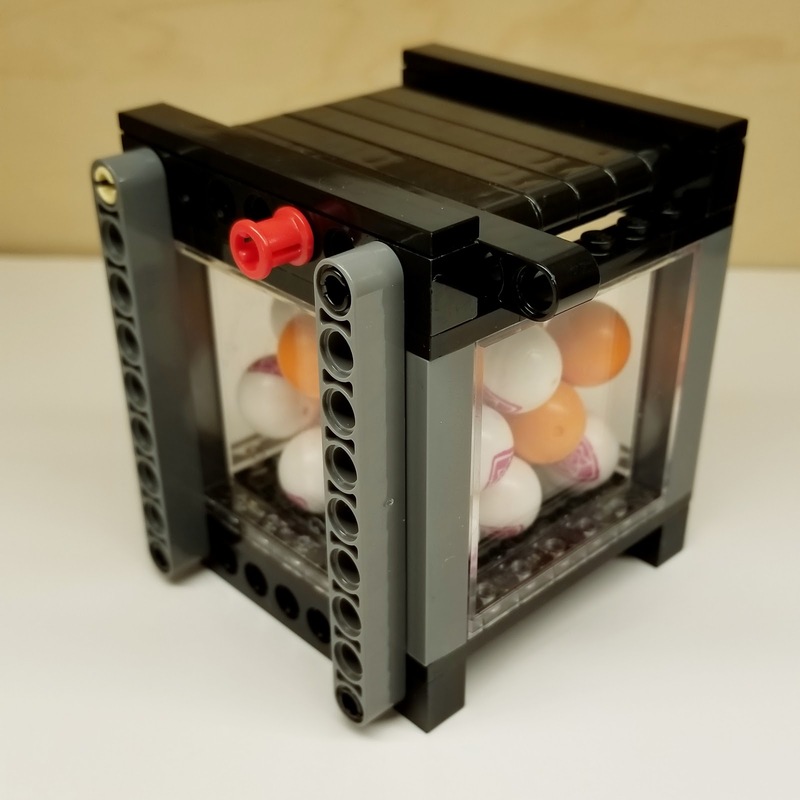 Now that I've joined a Lego club, I need a way to transport my GBC balls to meetings when I'm displaying a new module. Previously I would just put them in a ziplock bag or a small plastic container. 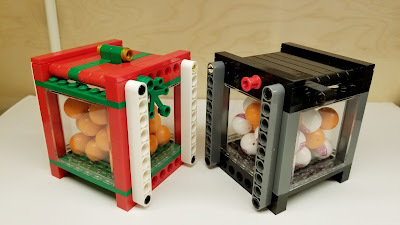 That was not purist enough so I've now created a nice small locking 30 ball bin which conveniently holds 30 balls, the same size as the batch rule of the GBC standard. 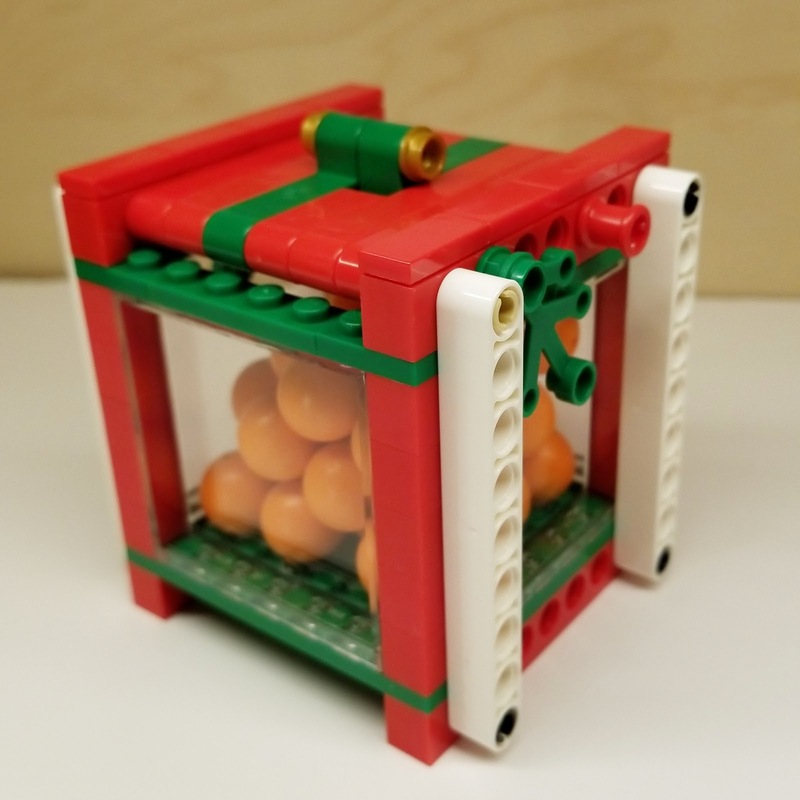 This box is built using brick and beam techniques so it is very strong and shouldn't open on it's own. It is locked using a 3L Friction Pin with Bush (In red). The hinged lid has one extended beam to allow for easier opening. I've also decorated a second copy of this box for Christmas. If I saw one of these under the Christmas tree I'd be very happy! I've created instructions for this box and they can be found HERE as well as on the INSTRUCTIONS page.